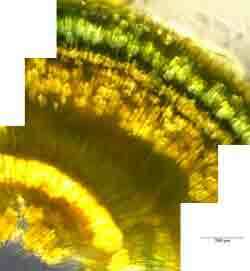 My two previous posts on the qualities that make a great image of an alga focussed on the ascetics of the image itself, and also identified major technical problems that confront those of us who want to take images of the microscopic world. 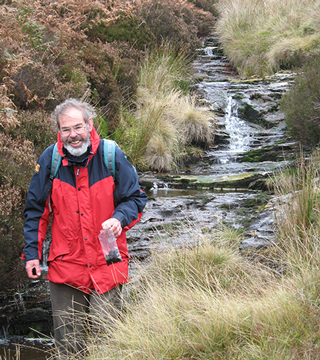 At this point, my own ability to write authoritatively on the subject peters out, so I have asked Chris Carter, who won the competition in 2013 and was shortlisted in 2010, 2011 and 2015, to write a guest post in which he shares his own extensive experience. Everything in optics is against the photographer of the microscopic world, and the algal photographer in particular. Without cheating, there is limited scope to choose what is (or is not); in the field of view; the depth of focus is usually tight; the object size rarely matches the available field; no microscope objective can match the usable pixel count of a modern camera lens in conventional photography, and colours are, to say the least, difficult. Transmitted light photography has the additional problem of Beer’s law (remember! ): make an object three times thicker and it will let through a ninth of the light, creating problems with the dynamic range. The bottom line is that “adjustments” and some degree of image manipulation are necessary but these, in turn, place an onus on the photographer not to be dishonest with either the viewer or the organism. The extent to which image manipulation is acceptable will depend upon whether the image is for a respected scientific journal, a competition, or for a Christmas Card. We cannot be too purist: the camera always lies and a modern digital camera works wonders in the background; what is colour anyway but an illusion derived from the eye and brain? For the holiday snapshot you are allowed to move the glass of beer out of the field of view first but you are not allowed to paste in a missing family member (or vice versa!) later. For the microscope image I suggest it is acceptable to remove objects that are spurious (e.g. floating limescale) and to use software tools to fuse images of the same object tastefully and honestly in the horizontal and vertical planes. In contrast, it is all too easy to add objects to an image to give a nice montage (e.g. of sparsely distributed planktonic forms) or to use false colours in an area that can be defined exactly by some other method. Similarly, other ‘composite’ images ( e.g. two views of the same object) have a place but may be difficult to make visually pleasing. So, how do we go about this? The first necessity is to use a good image processing software package: there are lots of them and it isn’t easy to choose. I use Adobe Photoshop CS6. The first steps in processing a single image are to get the colours about right (there are separate sliders for each of the primary colours and filters for warming and cooling); for an image in transmitted light there will be overly dark and overly bright areas which the ‘shadow-highlight’ tool may fix easily. In more difficult cases adjustment the parameter ‘gamma’ can help: this tries to scale the dynamic range in the image to what is seen by the eye and to what comes over in a print or on a monitor: it is merely overcoming the limitations of the electronic and optical gadgets in use. Similar actions are performed by the ‘curves’ and ‘levels’ control: each allows the user to choose which colours and in which intensity to best convey information about the object in an aesthetic way whilst not wrecking its essential nature. At each pixel and in each primary colour the data will be stored as a (usually) 8 bit number giving 255 levels in total. These levels need not be evenly spaced; ‘gamma’ for example can give more emphasis to the dark or the light areas whilst the other settings control which levels are used. Most digital cameras will be doing this in the background (even on a ‘raw’ setting) but my own camera does no pre-processing at all, which has advantages and disadvantages. So much for colour: but there are still issues associated with depth of focus and field of view that need to be sorted out; these are both relatively easy to overcome technically but can create a considerable amount of work and have the potential to create taxonomic and artistic mayhem. I use two methods for producing images with an extended depth of focus both using separate images taken over the range of focus that is needed. The first is to use a ‘stacking’ software package such as ‘Helicon Focus’ (but there are others) and the second is to make use of ‘layers’ in Photoshop: each of these methods has its pros and cons but both need honesty and good sense as well as an eye on the “why am I doing this?” question. Stacking with Helicon Focus tends to work better at lower magnifications: with a x100 oil objective curvature changes rapidly with focus and great care is needed; the software is easily confused and I did once introduce an extra row of punctae into a diatom! 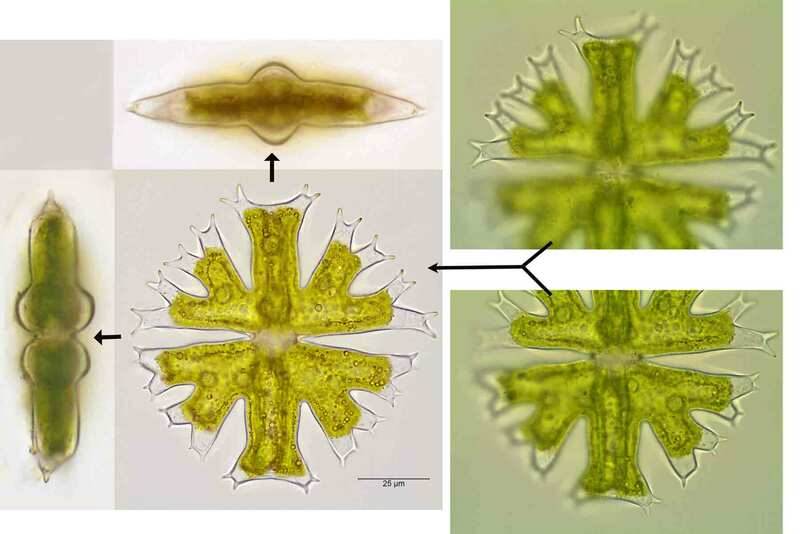 Good results at low magnification can be obtained with macroalgae such as the stoneworts, but even here taxonomic information can be lost in the process (e.g. the height difference between the primary and secondary cortex rows and the location of the spine cells). As I hinted above, there is always an ongoing and unresolved tension between the artist, the microscopist and the taxonomist! At intermediate magnifications an image produced using Helicon Focus can look overly flat and artificial, despite being sharp. My own approach is to use a gentle touch to produce pictures that are primarily useful but very occasionally develop into an artistic masterpiece! By contrast, using “layers” in Photoshop requires human intervention to ‘paint in’ the wanted parts of different images. For example, the desmid Micrasterias will rarely present in a sufficiently flat plane for a good image at high magnification; however, it is easy to judge what is closest to reality and to blend this in. Even here there are pitfalls: the end of the polar lobe in some species is normally out of plane or twisted….so again, what is the image for? A similar comment applies to the colonial green alga Pediastrum in which the peripheral cells have horns that are alternately up and down and the central cells often have surface granules. The desmid Micrasterias crux-melintensis has many named forms and is fairly easily recognised. It will never sit flat enough for a x100 oil lens but in this case nothing is lost by tasteful flattening with Helicon Focus and layers. Or is it? How many people have seen the somewhat surprising apical and side views? (No wonder it does not sit flat!). These extra views show the need for gamma adjustment and colour correction since light beams will be modified after passing through such an object. Is this composite image of artistic or of taxonomic value only? The face view is made of 17 sub-images processed as two semi-cells that were stitched using Photoshop layers; some correction to colours and levels was also necessary. There are many forms of Pediastrum boryanum but this is a particularly pretty one from Ulva growing on a wet cliff face; the red walls are real (perhaps manganese as suggested by Brian Whitton). This image borders on “cheating”: it was entered (no success) for a national wildlife contest but not for Hilda Canter-Lund competition (I don’t think she would have approved!). Should the horns have been flattened or left as obviously alternating? After the issue of focus, there is still the problem of field-of view but it is really fairly easy to stitch together a matrix of images in the same plane, at least in simple cases. Photoshop has an option to do this and there are other similar packages; this is also another job that ‘layers’ in Photoshop cope with very well: adjacent overlapping images can be blended manually. It is more difficult of course if these adjacent images are themselves blends at different focus points……it just takes a long time to get right. The image of Tolypella glomerata that was a runner-up in the 2015 Hilda Canter-Lund competition was made of 75 sub-images (17×5 approx) and took two days to process! Each of the 17 in the xy plane was shot as a stereo pair, so there is also a matching anaglyph (3D image) made of 150 sub-images! 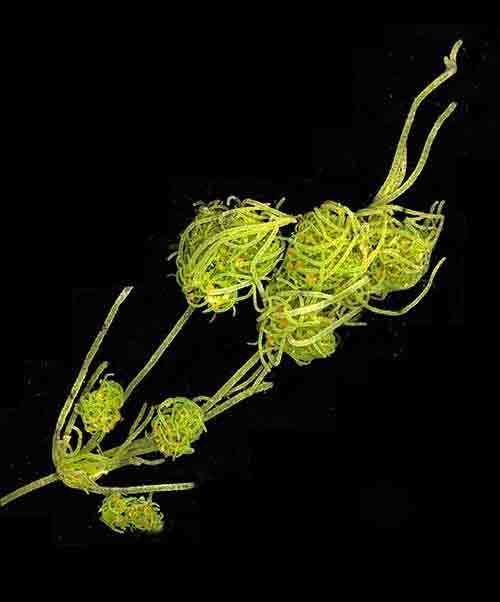 “Out of the pit”: Chris Carter’s image of Tolypella glomerata, shortlisted for the 2013 Hilda Canter-Lund prize. This dark-field image showing the antheridia of Chara fragifera is made up of 28 sub-images: 4 horizontally and 7 for the vertical stacking; a protruding green filament has been removed (actually a rare Bulbochaete, but that is another story). One final point, unresolved in my view and perhaps the most difficult of all is the issue of dynamic range. In transmitted light photography the intensity of difference between bright and dark can be nearly impossible to capture: well beyond the capability of the 8 bits of a normal camera and marginal even for an expensive cooled CCD instrument. Photoshop and other packages claim HDR ability (High Dynamic Range) using several images of different exposure: I have not personally had much success with this but have regularly used Photoshop layers to blend such images manually and regard this as acceptable in all cases (see the Rivularia cross-section below). All the algae are amazing but even a retired physical scientist has to narrow things down a bit: I am trying to use photography to bring out the three dimensional aspects for identification and appreciation: diatom auxospores, desmids from unusual angles and macroalgae as 3D recreations such as anaglyphs and stereograms….but that is another story. The cyanobacterium Rivularia presents many photographic challenges. This is a section of a nodule in transmitted light done for taxonomic purposes: in-focus bits of the calcification have been discretely blended in and the outermost part showing hairs is at a very different exposure to the core; colours are distorted by passing through the nodule and have been corrected. Three or four overlapping sections have been accurately joined to produce the final image. Chris Carter, Nothampton August 2016. This entry was posted in Uncategorized and tagged algae, Chris Carter, Hilda Canter-Lund, photography. Bookmark the permalink.